The Late Late mostrar. . HD Wallpaper and background images in the one direction club tagged: photo the late late show james corden harry styles niall horan one direction 1d louis tomlinson liam payne. 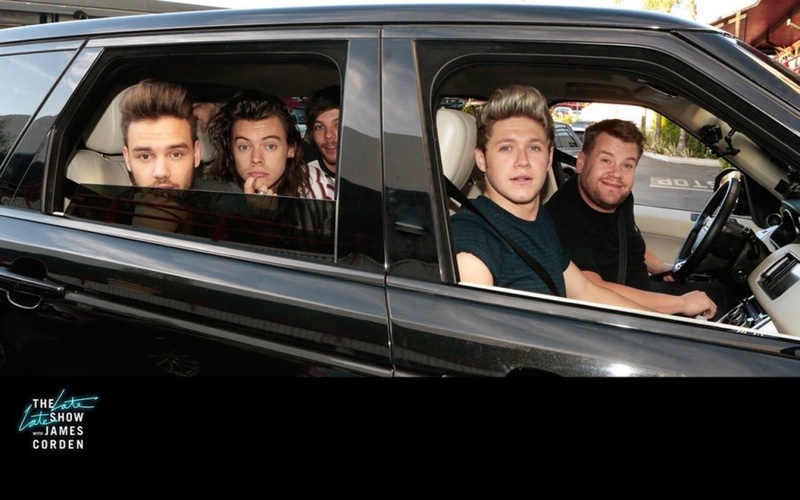 This one direction wallpaper might contain automóvil, coche, suv, camión, auto, and carro.